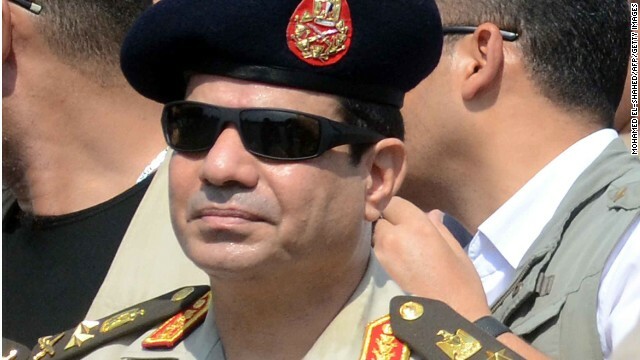 Where is el-Sisi taking Egypt? Editor’s note: David B. Ottaway is a senior scholar at the Woodrow Wilson International Center for Scholars. The views expressed are his own. A year ago today, a little-known military figure of uncertain intention overthrew the first democratically-elected Islamic president in Egypt’s history, Mohamed Morsy, in the process instantly becoming a national savior for millions of secular Egyptians and an arch enemy for millions of his Muslim Brotherhood supporters. For months thereafter, Egyptians waited for word about whether Gen. Abdel Fattah el-Sisi, defense minister and head of the Supreme Military Council, would run for president. Like the mysterious figure in Samuel Beckett’s play Waiting for Godot, no one really knew anything about him, his intentions or his vision of Egypt’s future. Indeed, even after el-Sisi formally declared his candidacy on March 26, secularists led by “liberal” intellectuals in support of military rule made little attempt to get the general to spell out his plan for Egypt’s political future and a way out of the country’s catastrophic economic situation. For them, it was sufficient he had saved them from their worst nightmares of Islamic rule. His only opponent, Hamdeen Sabahi, was an ardent admirer of Gamal Abdel Nasser, and thus in no position to challenge the arrival of another potential Nasser-like military ruler. CNN speaks with Fareed Zakaria about Monday's conviction in Egypt of three Al Jazeera English journalists accused of aiding the Muslim Brotherhood. Fareed, what does this ruling in Egypt, going against these Al Jazeera journalists, say about what's going on in Egypt right now? A new president has just been elected. It tells us the old Egypt is back. That is, the deep state – the state of Mubarak and Nasr, the state that ruled in an uninterrupted military dictatorship – is back because despite the claims they're moving toward democracy and trying to create genuine transition to pluralism, freedom of the press is entirely under siege and under attack from the state. Look at the charges. These journalists, who are very fine professional journalists, are being essentially charged for criminal activity for aiding terrorists, which is entirely untrue. Two of them sentenced to seven years. One was sentenced to an additional 10 years. Do you know why? He was charged with possession of ammunition. Why? While covering these protests this man found a spent casing, in other words a used shell. He happened to put it in his pocket as a souvenir. For that act, he has been sentenced to an additional three years in jail. This is how absurd these charges are. Editor’s note: Salil Shetty is Amnesty International's secretary general. The views expressed are his own. Egypt’s criminal justice system was in the spotlight again after a court agreed to hand down the largest number of death sentences in modern memory. But this was not the work of a rogue judge, as some have suggested. Instead, the rulings were simply the latest in a series of incidents that point to a judicial system that is spiraling out of control. In the space of a few short months, courts have made ready to sentence hundreds of people to death, jailed leading activists and protestors, including young women for protesting peacefully, and put journalists on trial for merely doing their job. The courts have also hammered independent civil society. 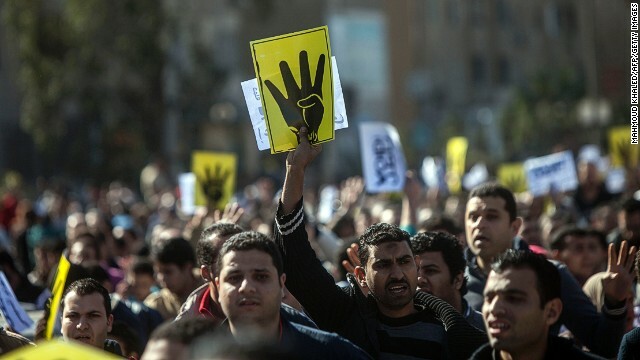 Last week, a court ruling effectively banned the April 6 Youth Movement, the activist group that spearheaded the mass protests that toppled Hosni Mubarak’s government in January 2011. And Egypt’s human rights groups may be next in the firing line, with memories of last year’s NGO trial still vivid in the minds of many activists. Editor’s note: Daniel Calingaert is executive vice president of Freedom House. The views expressed are his own. Russian President Vladimir Putin’s decree honoring more than 300 journalists for their “objective coverage” of events in Crimea recognizes the contributions of these foot-soldiers in his propaganda war. Many Americans belittle Russia’s propaganda but miss the bigger picture – Putin and other modern dictators have created an elaborate playbook to probe their opponents’ weak points with a variety of offensive tactics that throw the democratic defense off-guard. Modern dictators use their playbook masterfully, while the world’s democracies hesitate, repeatedly stumble, and let the dictators make their way bit by bit down the field. Respect for political and civil rights has declined globally for eight consecutive years, due in large part to the growing sophistication of modern authoritarian rulers and their initiatives to tighten control on power amid rising public demands for political change. They write the narrative of what is going on in their country, delete the evidence that contradicts their stories, and close the space online and on the streets for citizens to have their say. Putin is drawing on the modern dictator’s playbook to solidify support at home and neutralize criticism abroad of his aggression against Ukraine. 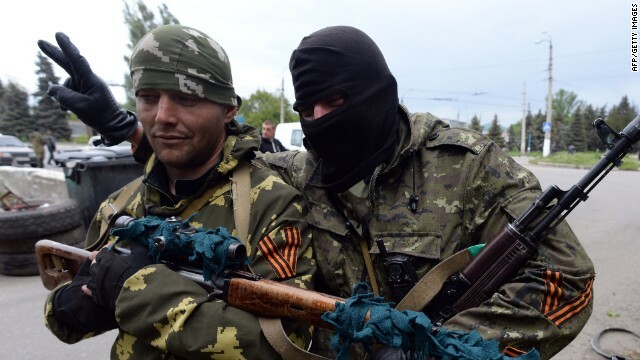 He uses his dominance of Russian media to propagate his grossly distorted portrait of fascists trying to take over Ukraine and oppressing ethnic Russians (while in fact, two-thirds of ethnic Russians in Ukraine don’t feel threatened or pressured, according to a recent poll). Western journalists repeat his talking points on the Kremlin-backed RT television network in glossy formats, on-air debates, and on-the-scene reports in eastern Ukraine. This month marks three years since Hosni Mubarak resigned as Egypt’s president. But what does the future hold? GPS intern Avi Asher-Schapiro speaks with Shadi Hamid, a fellow at the Project on U.S. Relations with the Islamic World at the Brookings Institution's Saban Center and author of the forthcoming book Temptations of Power: Islamists and Illiberal Democracy in a New Middle East, for his take on what to look out for. Editor’s note: Sahar Aziz is associate professor at Texas A&M University School of Law where she teaches national security, civil rights, and Middle East law. She serves as president of the Egyptian American Rule of Law Association and is a fellow at the Institute for Social Policy and Understanding. The views expressed are her own. 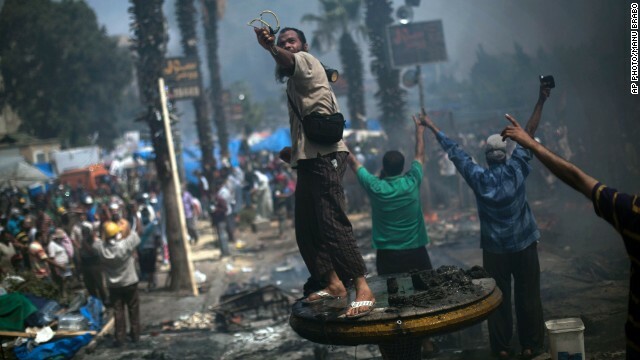 Egyptian society, once teeming with calls for freedom, justice and dignity, has been replaced with an atmosphere of vengeance. Instead of calls to preserve fundamental human rights, Egyptians now praise their internal security forces for killing and arresting en mass those associated with the Muslim Brotherhood – the newly declared enemy of the state. That these are the same people who won Egypt’s first freely contested parliamentary and presidential elections is apparently of no consequence. What is consequential, however, is the transformation of a grassroots revolution into an indefinite War on Terror. 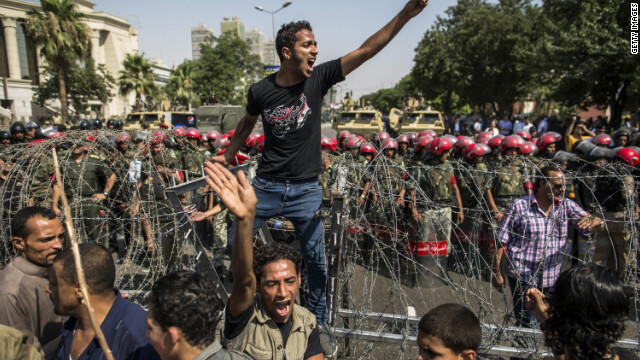 Rather than challenge police abuses, Egyptians compete to be the most patriotic in supporting the army and security forces’ violent crackdown of the Muslim Brotherhood, while the crackdown's expansion to secular youth groups is met with equal support. 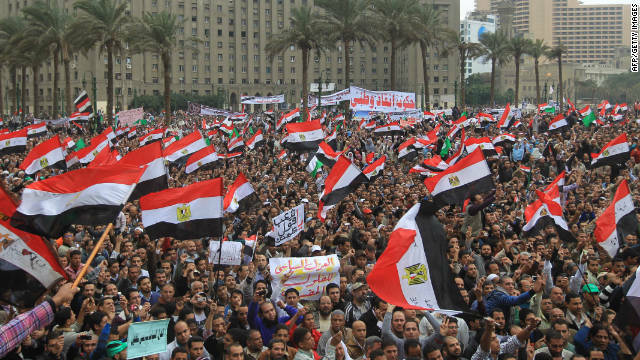 When criticized by the international community for violating international norms, the Egyptian state points to the language of the U.S. government as its exemplar. And, sadly, it is true that the United States’ War on Terror effectively legitimized practices that were once only associated with pariah states. Editor’s note: David Barnett is a research associate at the Foundation for Defense of Democracies. You can follow him @dbarn225. The views expressed are his own. 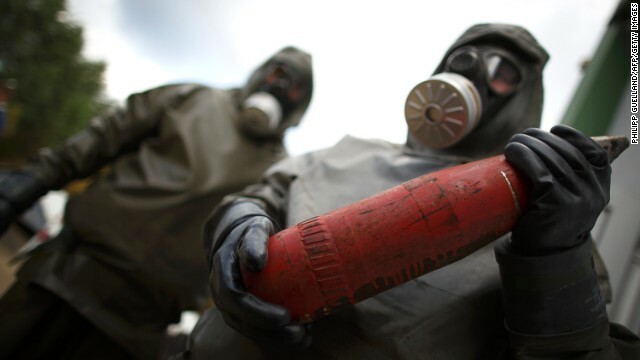 The video’s release comes amidst a somewhat surprising downturn in the frequency of attacks in the Sinai Peninsula, where violence has been raging and the Egyptian military has responded by deploying a significant amount of force. 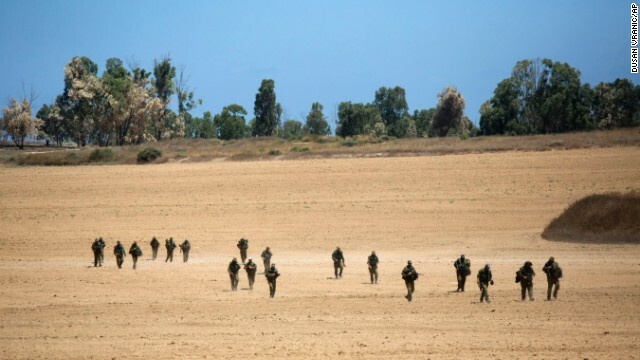 While army operations in the Sinai may well be succeeding on some level, ABM and its cohorts may be entering a new phase in which they carry out less frequent but till bolder and bloodier attacks. Violence carried out by ABM is nothing new, of course. 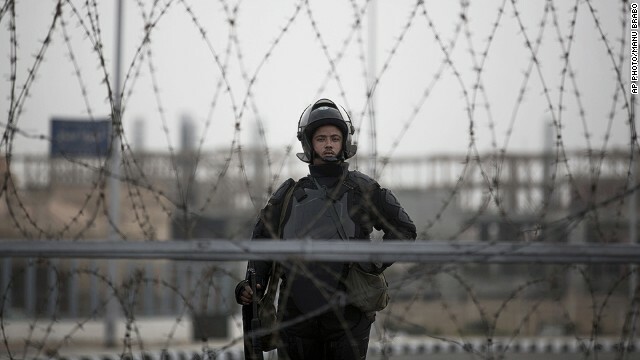 Although the group has only claimed responsibility for a few of the reported 197 attacks (the actual number is likely much higher) in the Sinai since the toppling of Islamist President Mohamed Morsy on July 3, it has hinted at involvement in many others. These ongoing attacks have targeted everything from property to Egyptian security personnel, former politicians, and tribal leaders.